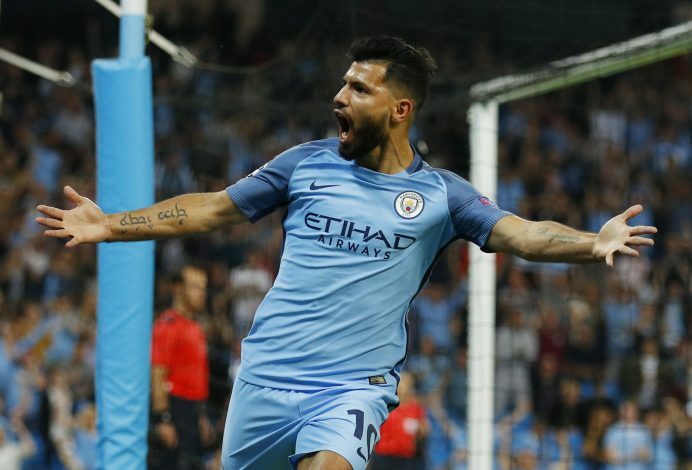 Man City effectively reinstated themselves in the race to defend their Premier League crown by defeating Arsenal 3-1 at home. A sublime Sergio Aguero hattrick aptly summarized the game while the Gunners only had a Laurent Koscielny goal as consolation for the harrowing away fixture. Completely dominated by City, Arsenal are now placed in a worrying spot. As one team rejoices, Unai Emery’s frown remains intact. The fixture was never going to be an easy one for the Gunners. However, they would have certainly hoped to catch the Mancunian giants off-guard from their unexpected loss to Newcastle United mid-week. Instead, Unai Emery’s poor record against top teams continued to plague him. Tactically battered, this was yet another game where Arsenal made too many errors and was unable to register even a single attempt on goal in the second half. To make matters worse, their ongoing issue of Ozil not playing continues. If this game signals the start of a possible last stand put up Manchester City, it may also signal Arsenal’s downfall from a spot they are all too familiar with. By battering Arsenal, Manchester City ensured that Manchester United finally ascend from their sixth spot to seat themselves into the fifth place- a heartbeat away from a top-four finish. In fact, considering that Chelsea next face the Sky Blues in the Premier League, City could singlehandedly prove to be the deciding factor in United’s hopes to clinch and secure the top four finish. An interesting moment of solidarity from two teams that can’t stand each other. Perhaps Manchester may truly be united when they cheer next during Chelsea vs City. Amidst the sea of gloom, Arsenal held a tiny glimmer of hope through the debut of Denis Suarez. Loaned on from Barcelona late into the winter window, the youngster has been a figure that Arsenal fans have quite willingly piled their hope upon. It is interesting to note that Suarez made his debut against the side he served under as a youngster. In fact, he was named their Young Player of the Year in 2012. 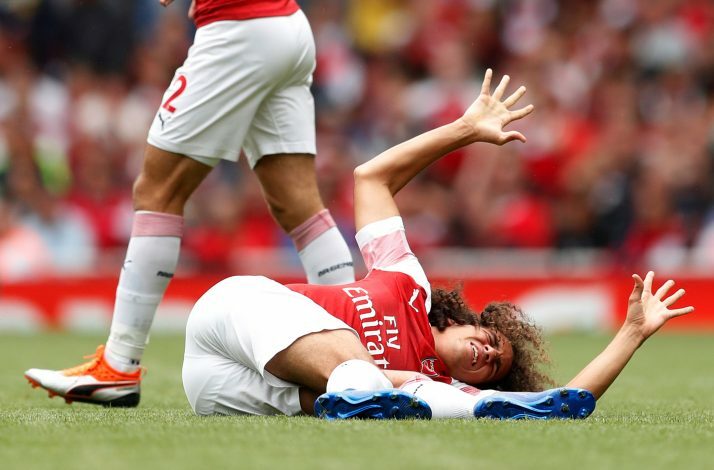 While the minutes he played on the field were riddled with positives, how Unai Emery deploys him will be crucial to any hope for Arsenal to succeed hereon. At the heart of City’s runaway success during the game was a curious tactical shift in Fernandinho’s role. The teamsheet saw him start as part of the backline, ahead of the likes of John Stones. This served a tactical purpose for Pep Guardiola’s men. When not on the ball and defending, Fernandinho stayed put in his spot as part of the backline. However, whenever the home side ventured forward or commenced a counter-attack, their defense swiftly transformed into a back three with the 33-year-old Brazilian making himself enormously important in the midfield. This switching was a visual treat as Fernandinho’s workrate off the ball was impeccable. However, this may not be the ideal tactic for Guardiola to pursue hereon as there were moments in the first-half when it was counter-intuitive. In those instances Arsenal rushed in through counter-attacks, not leaving enough time for him to switch and this could have been immensely problematic against a more organized team. The French midfielder is a player that Arsenal will be immensely grateful for. Back in the first-half , when they had responded to City going up ahead early with a goal of their own, the Frenchman was their best player on the pitch. Having completed a 100% of his passes in the first-half, it is a pity that his conduit role wasn’t taken advantage of by Arsenal’s erstwhile prolific forwards. Further, he tried quite well to pocket De Bruyne, even if the targeting fell apart in the second half. Considering the fact that the likes of Fernandinho and Silva were up against him, the reality that he is only 19 years of age will be a massive positive when Arsenal supporters look at the long-term hope that the club may hold.